Eds. 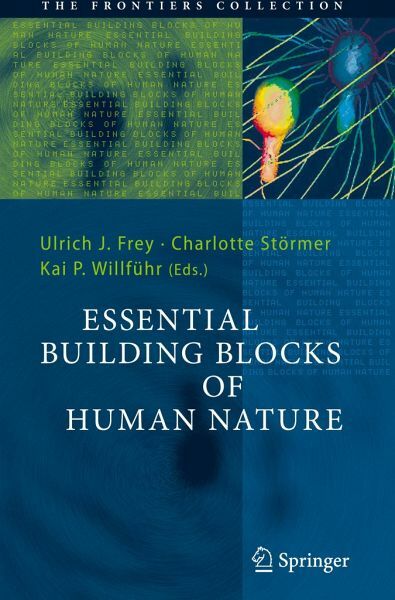 :; Frey, Ulrich J.; Störmer, Charlotte; Willführ, Kai P.
This book brings together leading authors from fields as diverse as primatology, anthropology, neurobiology and philosophy to present essays each describing their own expert perspective of human nature. The result is a reliable and coherent model of man. 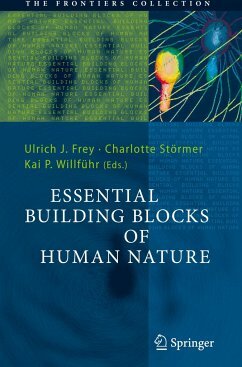 To understand why we humans are as we are, it is necessary to look at the essential building blocks that comprise our nature. The foundations of this structure are our evolutionary origins as primates and our social roots. Upon these rest features such as our emotions, language and aesthetic preferences, with our self-perceptions, self-deceptions and thirst for knowledge right at the top. The unifying force holding these blocks together is evolutionary theory. Evolution provides a deeper understanding of human nature and, in particular, of the common roots of these different perspectives. To build a reliable and coherent model of man, leading authors from fields as diverse as primatology, anthropology, neurobiology and philosophy have joined forces to present essays each describing their own expert perspective. Together they provide a convincing and complete picture of our own human nature.